Try it! Grab your smartphone, download a FREE QR Code Reader App and hover over this QR Code and see what happens... MAGIC! QR codes (Quick Response codes) are simply specific matrix bar codes that can be read by “QR Readers” (via devices like your smart phone) to quickly show you information about something, someone or somewhere. Very cool! How is this useful for small a business? 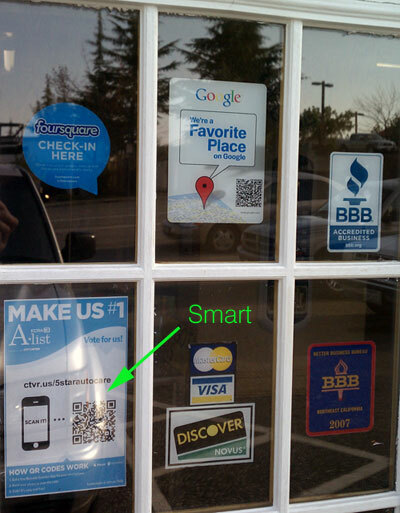 5 Star Auto Care Auburn CA | KCRA Vote QR Code on Store Front | Smart - Making it Easy for People to Vote Online! Have a great idea for a QR code? Leave a comment below! The above QR code that can be generated is only good for a year. 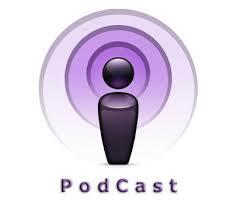 Is there a QR generator that offers one that outputs eps and other files, does not expire, and maybe offers analytics? What is your recommendation for a reader? It is hard to compare them. So just curious about the expiration. Where did you find that out? Yes, We know what you imply. Those qr codes are tremendous, nonetheless customers haven’t taken to them just yet. 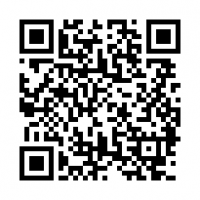 We utilize this best qr code generator to create them everyday. Making those codes direct to a mobile post is golden. Wish it would catch on.